Fordel is the digital marketing agency that finds out, executes and measures stuff that moves your business forward. Founded by Dan Sallai with over 10 years of experience in digital marketing we are working with clients remotely from Europe. Currently involved in projects for enterprise clients to get the most out of the Google Analytics 360 Suite. Helped small businesses in the US, in the UK and Australia in the field os event planning, real estate, tech, accounting and travel. 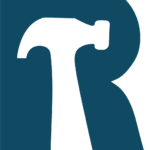 Managed the search engine marketing efforts of enterprises like Chevrolet or Nokia at a major search marketing agency where he worked in the past as paid search specialist and account manager. The company currently has a team of 2 with direct access to a network of professionals in various fields on demand. 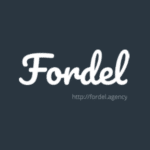 At Fordel we live and breathe digital, yet every day we marvel at what can be done online. Every aspect of it is fascinating to us. We go to work each day to create value through stuff we love. We listen humbly and act swiftly. We are not afraid to say “I don’t know”. And we are not lazy to go over and above to find solutions. We are not gurus or magicians. To sustainable success there are no shortcuts or magic tricks. But when there’s honesty, experience, hard work and some data, magical things can happen. That’s what we are here for.